Laurence is an experienced HR Director with a background in creating and implementing talent, resourcing and organisational development strategies to achieve measurable commercial advantage. His areas of expertise include executive coaching, leadership assessment, talent and succession strategy and design, performance management and people strategy. In a range of international environments from FMCG (Colgate Palmolive) to global financial services (HSBC, ABN Amro), he has worked with board members and executives on a diverse and complex range of people issues. Working one-to-one with senior managers in a wide variety of organisations and cultures, he is experienced in giving difficult feedback and coaching improved performance, and has devised leadership assessment and executive coaching programmes resulting in tangible performance improvement. Recent consultancy assignments have included designing a leadership development roadmap, executive assessment and coaching and succession management and top team effectiveness programmes for clients in the engineering, communications, publishing and insurance sectors. 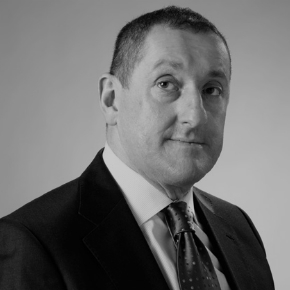 Laurence’s professional qualifications include a Diploma in Executive Coaching and a Postgraduate Diploma in Personnel Management.